They are Giulia and Nicholas, a couple that have chosen to celebrate their wedding in theater, the Camaiore Olive Theater. A theater is definitely an original location for a wedding. Have you ever thought about it? You would be the absolute stars of your wedding! Imagine the stage, the stage lights, the acoustics, the audience applauding you .. That’s so cool! But let’s go back in the Spring of 2016 for a moment, when the couple was looking for a wedding photographer in Tuscany. 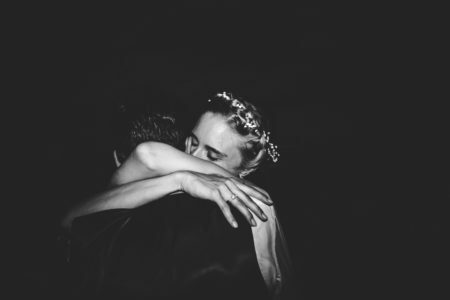 The bride wanted a photographer who could put them at ease, a non-intrusive photographer that could at the same time make her feel the star of her most beautiful day. The groom is passionate about photography and despite his many photographers friends he wanted a professional wedding photographer. 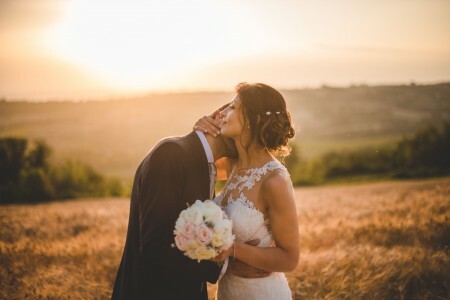 He preferred to invest in a professional photographer for his wedding in Tuscany, to ensure a quality photography service. I was also pleased with Nicholas’ words: “We also chose you for the trust, the fairness and the professionalism that you transmitted us the first time we met you”. Furthermore, they chose to have a pre-wedding photographic service. That was then projected in a slideshow during the reception. If you want to see it too, you can look at the story Engagement in Lucca. 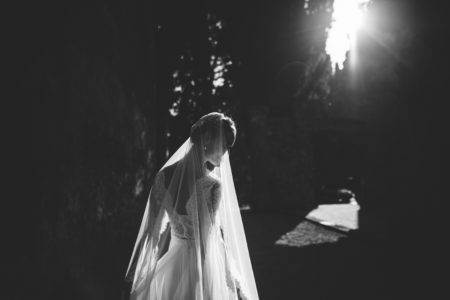 On the wedding day I left from my new photo studio in Bucine, near Arezzo. A quick stop at the station to pick up Francesco (my fellow photographer that was coming from Rome), and a coffee, I was off to Camaiore! We arrived at the groom’s home, where after greetings and presentations, Francesco started to photograph the groom’s preparations. I instead took pictures of the bride’s preparations at home. When I arrived, the mood was very relaxed and friendly, although the bride was looking forward to her big YES. I introduced myself to everyone and then I started to photograph the bride’s preparations. This is what Giulia texted me: “… I felt like a star during the preparation phase and during the party you were not intrusive at all … you were professional and friendly at the same time! …While you were shooting I did not think of the possible results and this surprised me a lot. I see myself natural in the photos and there is nothing better and harder to get …! ” Thanks to a shining sun, the light was beautiful. The 40s style bridal gown was matching the groom suit and they chose a vintage car to complete everything! The ceremony started and we finally begun to photograph the wedding in theater. The audience sat, waiting for the curtain to open… then ladies and gentlemen, the bride and groom! Photographing a wedding in a theater was not simple, the lights were difficult to handle, the angles for the shots were many and we had to run up the stairs to be able to photograph the wedding even from the booths. But we made it! After the ceremony we had a quick aperitif and then we went to the historic village of Monteggiori for the couple photos. During the couple portraits we had a great time. The chalet reception on the lake was simple and original. Games and jokes animated the evening and the Chinese lanterns left a final mark at the end of this wonderful day! Special thanks to my friend and colleague Francesco for the valuable help!